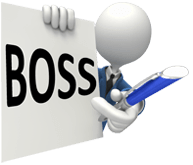 We here at BOSS are of course all about letting you in on the benefits you accrue when you outsource accounting. Obviously though we aren’t able to fix all of your problems in one fell swoop. And one of the biggest problems any fledgling firm is going to face is getting noticed. There are both a surplus of accounting firms in Australia and New Zealand as well as multiple DIY software packages for individuals and business owners. How do you make your firm stand out in the midst of all this noise? Treat your clients like they’re your heroes. If you want to stand out from competing firms then be the firm that acts like a fan of its clients. You’re not there to make money off of their accounting ignorance, you’re there because you desperately want to help their business succeed. If you outsource accounting practices then you’re going to be able to do more to make your clients’ dreams come true – you’ll offer them more services under one roof, and you’ll have more time to act as a business consultant for them as opposed to merely being their hired number-crunchers. Develop a new business culture. This one is risky, but if your firm is struggling then doing the same thing over and over isn’t doing you any good anyway, right? What we mean by developing a new culture is a new voice or vibe as a new approach to how you sell your services. So you still outsource accounting, you still offer the same menu of services, but it’s the attitude or character of your offerings that change. Here’s why it’s risky – most people are probably expecting a fairly serious atmosphere from their accountants. So changing your culture to something else is likely to shut the door on some businesses ever becoming your clients. But we’re already talking about you having trouble making your mark with these clients, right? So you’re really not losing anything, but you may be opening the door to someone else. This is especially true if you’re looking to steer your firm towards niche markets. Say you want to gear your firm to helping small businesses located along beaches. You’re still going to outsource accounting, offer them the necessary services, and so on, but how can you make the flavour of your firm stand out to them? What can you do to make them recognise your firm as being the one that “gets” them as opposed to stuffy old traditionally-flavoured firms? Don’t worry about how you can’t compete and focus on how you can… and how you can excel. Even when you outsource accounting you’re still a small firm. You’re not going to be able to throw in-house people at clients. But what are the strengths of your firm? You’re a small business, your clients are likely small business… chances are you’re going to understand the struggles of similarly-sized ventures. So what hurdles did you have to overcome, or are currently facing? What do you know now that you wish someone had told you? Neophyte businesses would love to have the kind of information, especially when it comes to managing their finances. So part of your new culture may be to become the firm that puts together beginner-business packages. For such-and-such a price you get the following services which, put together, will cost your client less then when they’re purchased on a separate basis. They’ll be getting a ton of help launching their business at an affordable price. And the fact that you would put such a package together shows that you care about people just like them. Who isn’t going to want to keep sending their business to such a firm as their enterprise continues to grow?